In 2017, Google rolled out a number of new initiatives at their Google Marketing Next event. In 2018, this event is called Google Marketing Live, but once again weÂ’re getting an inside look at what the internet giant has been up to for the past year. In 2017, Google rolled out a number of new initiatives at their Google Marketing Next event. In 2018, this event is called Google Marketing Live, but once again we’re getting an inside look at what the internet giant has been up to for the past year. In the weeks leading up to the Google Live event, the company announced some new branding initiatives, including a naming shift from AdWords to Ads, and the combining of the DoubleClick Ad Exchange and DoubleClick for Publishers into a single platform: Google Ad Manager. On Tuesday, Google made more announcements around their advancement of machine learning, and how they will be applying this to the Google Ads platform. As many of you know, search ads were one of Google’s first offerings, and new responsive search ads leverage machine learning to “be helpful and personalized” at scale. 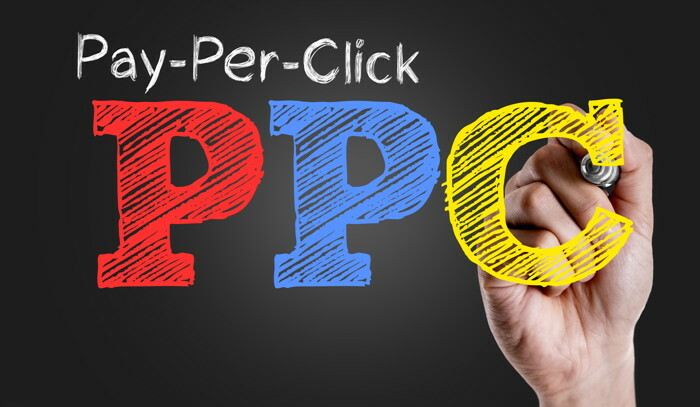 According to the company’s recent testing, this approach results in 15% more ad clicks, with the feature rolling out to all advertisers over the next several months. Maximize lift for YouTube — Uses machine learning to optimize ad performance on YouTube by automatically adjusting bids. Local campaigns — Uses machine learning to help get more customers into physical stores by optimizing where ads appear across various Google platforms. Smart shopping campaigns — Uses machine learning to optimize campaigns based on criteria and goals selected by marketers. Google has already made an impact, targeting hotels with their Hotel Ads feature, allowing properties to showcase their business on Google.com and Google Maps, across all devices. However, unlike most meta-search entities (which is still at the heart of Google’s foray into Hotel bookings), the company is allowing travelers to book directly on the property website, in a sense “owning the relationship” from the interaction with the ad to the booking. Google has already integrated with a number of booking engines to ensure they have easy access to available room inventory for a variety of lodging providers including TravelClick, Sabre Hospitality, IBC Hospitality Solutions, and SHR to name a few. A new audience manager lets you set a hotel marketing campaign to target people who have already engaged with your website in some way. Along with this is the ability to target by demographics, allowing advertisers to cater their ads to appeal to different genders and ages. While this functionality was available before, Google has taken this a step further with targets able to be based on household income and parental status. A capability like this enables advertisers, such as hotels, to get really specific about their audience, making it easier to attract the right guests. 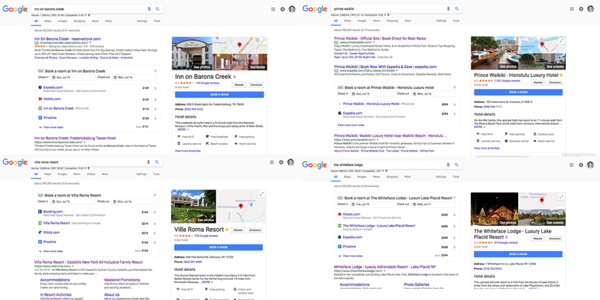 In addition to all of these recent releases, our team has also noticed Google testing a new placement of these high conversion Hotel Ads, above the first organic placement on Search Engine Results Pages (SERPs). How will these new placements impact your business? By the sheer measure of pushing organic results further down the page, these Hotel Ads placements will likely decrease organic brand traffic to your website. You will need to put a greater SEO focus on local search terms and long tail keywords to ensure that your property is staying on top of non-brand related search term results. Brand bidding becomes more important as your rates will not be the only ones showing up in the “Book Now” box. OTAs will also be bidding to be included in this area, and while these bookings will help you increase your occupancy, we all know that they aren’t optimizing revenue. The only way for your website to display above this inline “Book Now” format will be to bid on your own brand keywords. If you aren’t already using Google Hotel Ads, now is the time to learn more about how your property can be included. The first step is finding out whether or not your booking engine has integrated with Google.